If they are sober enough to avoid the DWI points, maybe they are not drunk enough to be pulled over. Milest, MaXtor and btfsttg like this. I'm wondering how telling people about speed traps is any different... If a driver knows where the speed traps are, won't they simply slow down for those, then speed up again? In fact, now that they know where the traps are, they can afford to speed any time they know there ISN'T a trap, when before they might have driven the limit not knowing if a cop could be around the next corner ready to ticket them! I'd argue that it's actually WORSE to show speed traps then DWI points.... if a driver is still sober enough to use WAZE and be cognizant of avoiding traps, then maybe they're not as dangerous as a driver who can now exceed the speed limit virtually at will. DUI checkpoints should be illegal in the first place. Law enforcement in America just make up the rules they play by with little to no input from the population. lexster, Milest, JaredTheDragon and 1 other person like this. Explain why? Driving a car is NOT a right - it's a privilege. If you drive poorly - either by speeding, intoxicated, or whatever, then you not only put your own life in danger, but you endanger those who are sharing the roads with you (and maybe even sidewalks and neighbouring buildings!). The police's job is to enforce the laws - and preventing intoxicated driving is quite important. Drew Valadez, pit1209, p51d007 and 1 other person like this. If someone drives poorly or dangerous, by all means, pull them over, perform a battery of sobriety tests and do whatever is needed in that situation. I have no qualms with this. Performing blanket stops and searches of EVERYONE... this kind of dragnet is not acceptable. I believe it violates 4th amendment rights. Police are not allowed to search a person or their property without probable cause. Somehow however police have twisted the rules to be able to do whatever they want. I'm not interested in law enforcement having no limits. Milest, robb213, JaredTheDragon and 4 others like this. I am all for stopping drunk drivers from being on the road but checkpoints like this are indeed illegal in the US. Drivers can refuse but then the cops can just say "we suspect you of crime X" and continue. Most in good conscience won't do that but not all cops are good. Cops just need to rely on the old fashion method, which is better anyway and far cheaper and doesn't involve terrorizing your community. It is pretty damn easy to spot a drunk driver so there is no reason patrols shouldn't have a decent chance of spotting them, not to mention the public will call in a lot of drunk drivers. 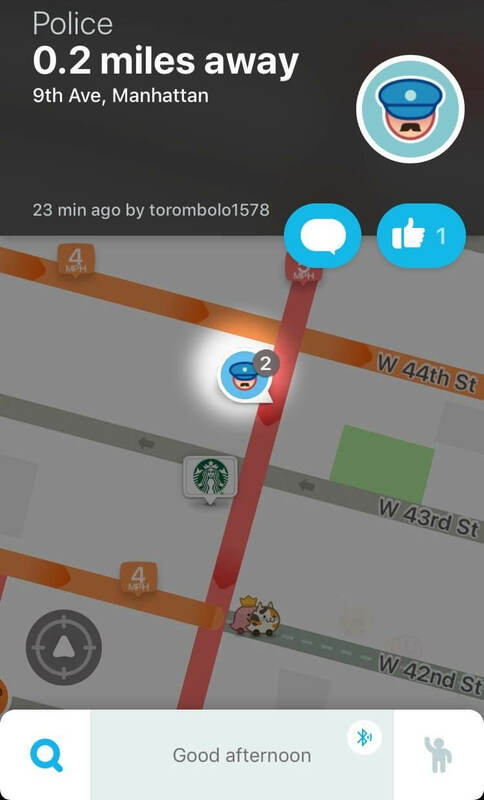 Waze should respond to NYPD's letter with a great big "F-U", it is part of freedom of speech. lexster, JaredTheDragon and btfsttg like this. In my state & city, they PUBLISH a few days before, where and when the checkpoints will be, but, they STILL end up nabbing a bunch of drunk drivers. In MY youth, you DID NOT have the options like you do now. Now, a lot of places have free taxi rides, uber, lift, friends, bus, walk. Shoot, designated driver in the 70's, early 80's was whomever was the least drunk, DROVE. NYPD is losing all that money! "since it only serves to aid impaired and intoxicated drivers"
I would think it would serve to aid all drivers, the vast majority of whom are neither impaired nor intoxicated. For this vast majority, it would aid them in avoiding a delay in their trip, which is the exact purpose of Waze in the first place. Milest and JaredTheDragon like this. Driving a car became a right once 90% of employment careers require a valid driver's license and a car aka means to get to work. No where does it state any police agency is allowed to break the law in order to enforce it. In reality it breaks the 4th amendment however some states require a warrant to be issued for the speed and or dui trap and some states require a public notification ahead of the scheduled event. Either way it is a clear line, if it's public then the app is fine if not then the app is obviously helping impaired drivers.In alot of states a police vehicle cannot be camping out a bar and pulling people over for DUIs as it's technically entrapment. What people believe are laws ussually arnt correct and on top of that police in alot of cases don't know or understand every law either that is why there is a DA office that can choose to press charges or not. Instead of WHINING, maybe NYPD should post "DWI Checkpoints" all over the place. 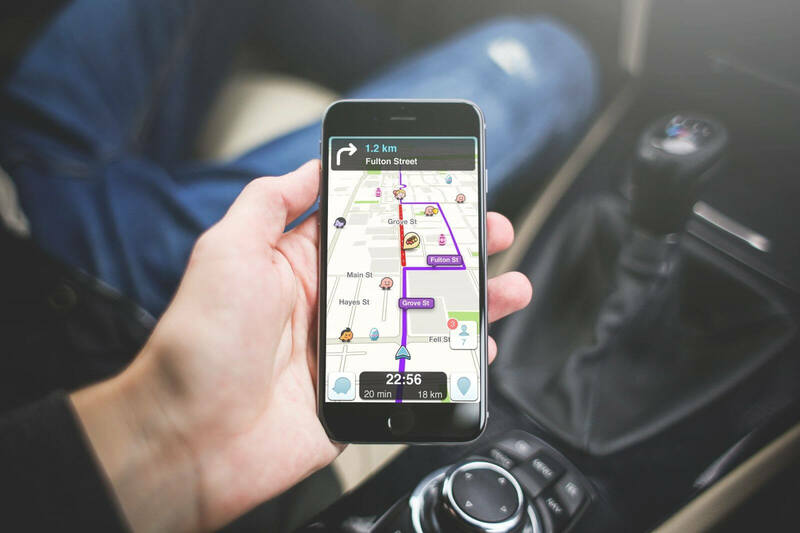 Not only will that confuse people as to what is real and what isn't, but perhaps it will encourage Waze users NOT TO DRIVE if they believe they are intoxicated. In my opinion, that would be a WIN for everyone. Use technology to one's advantage instead of wasting taxpayer dollars in frivolous lawsuits. You also have a right to travel, but before you needed a valid license now you need a passport as long as your taking a plane trip.....so your point is moot. This is usually how it goes: People say DUI/DWI checkpoints are bad/wrong/blah, blah, blah. Those people have a child killed by a buzzed/drunk driver. They no longer think it's a bad thing. It doesn't matter, people also get shot every day with a gun that doesn't mean take all peoples guns away. It's illegal pure and simple hate the person not make up excuses trading freedoms because some sad sack of $hit won't follow the law. How is this comparable? Your Passport isn't for travelling in your own country... it's for the country you are travelling TO!! Travelling between borders - in a free country - usually has nothing to do with the country you are in, but the country you are travelling to! Example: I am Jewish, and while I am free to travel anywhere I want within Canada, I am not allowed to travel to certain countries in the Middle East. This has nothing to do with Canada though... it's the Middle Eastern countries that are denying me my "rights". Couldn't this be seen as a freedom of speech violation? I mean this could apply to a Facebook page setup so that people post locations of police doing DUI stings etc... The free sharing of information (in principle) is a good thing. I'm pretty sure the police can figure a way to exploit such a feature anyway. Anyone can send a C&D to anyone else. It's just a piece of paper. The NYPD has no authority to enforce it. Checkpoints like this can be done, but citizens have the right to refuse to co-operate and law enforce have no choice but to send them on their way. Edit; After doing some research, it seems that the NYPD literally can't enforce it's C&D as it is protected free speech for citizens to warn other citizens of traffic obstructions, which includes police actions, regardless of the method used to communicate which includes a private service such as the one addressed in this article. That doesn't mean anything anymore... for instance a lot of states have a concealed weapons license. But wait, you can't license a right to bear arms. Can you? Can you tax a right? Sure! Not anymore, you are required a passport to travel in the us if you are taking a plane. Know the facts before you bother to post back next time. Maybe you should check YOUR facts before replying with irrelevant nonsense?